The lilac has always been one of my favorites. I carried it on my May wedding day. And now the ferns I brought back from home last summer have wintered well and are a glorious green unfurling banner. Spring never fails to settle my heart. I do not write a lot about why we private tutor (aka homeschool) our children or spend much time arguing with people about it. I don't even write a lot about how its going, as I find it hard to keep up doing our work and posting about it. But this past week when I took our kids to get their eyes checked, our eye doctor made some surprising comments that made some connections for me. Surprisingly she also understood to name the ordinal letter positions like first, last and most amazing to me, the middle letter in a row. We have been working on her letters a bit, but certainly not consistently, just as the mood and energy coincided. She passed her eye tests and answered his questions with a skill and confidence, I don't often see with her outside of our home. As he made some final checks with Laura's eyes using some of his equipment, he spoke about how well behaved the kids were and that he has noticed this pattern with homeschooling children. Completely surprised by his comments, I managed to mumble something like, we spend a lot of time with our children and we want to enjoy them. Warming to his subject, he then went on to say that he sees a lot of children and he can always tell the children that are being homeschooled as they are very well behaved and well mannered. I don't even know if this guy is married or has kids. I think he must be close to my age and not someone I would have previously thought had opinions or observations about these issues. His conversation with me in past visits has usually been limited to the topics at hand, namely how I abuse my contacts and other fun vision related issues. Now, of course, he did not see me or my children at our worst. He only was with us for about half an hour, so he can only speak to what he sees. But if that is true of us, it is also true of the other children and families he sees. Lest I sound a little too triumphant, I want to share my perspective on parenting. It's like my vegetable garden in May. I've planted some seeds this past week. Just the usual suspects. Peas, cucumbers, yellow wax beans, lettuces and so on. You can't see anything yet. A few more days and some of the seeds will be sprouting and my work there will be more recognizable. On Saturday, I jumped the gardening queue so to speak and planted eight celery plants and five sizable tomato plants. Now my garden is starting to look like something worth talking about. That's the parenting stage I'm currently in. I've been planting the seeds, watering them and tending them diligently. In some areas, I now have recognizable plants, but nothing ready for harvesting. I have a short but hopeful growing season ahead of me. My harvest season will not come until I see how my children mature into adults and parents themselves. In gardening, when you are into heirloom seed saving, you must let make sure you collect seeds that are fully matured and have not been contaminated by cross-pollination and will be true to their parent plants. In this case, it is not me the parent, I want our children to be true to, but their Father in heaven. My husband and I are raising children for God's glory, not our own. We want our children to be faithful servants in God's kingdom and continue the line of covenant keepers that we were given by our parents. When I see my grown children parenting and living as adults according to God's standards, I will begin to truly enjoy my harvest. For now, I rejoice that my children as seedlings are being seen as healthy plants who are pleasant for others to be around and I am encouraged to continue this necessary work to ensure a rewarding harvest for God's glory. I'm also quite glad that no one needs glasses so far. My garden as of this morning. My children as of last week. This is going to be my most paltry book list to date as first April and now May have proven to be very packed and wearying months. I actually gave up on reading my books most nights in April and some of May and watched entire episodes of Downton Abbey and Call the Midwife on Netflix. I don't regret that time, I just wish I had made more progress on my stacks of books too. This is not a new book for us, but it is one that Laura pulled out and asked me to read to her several times. 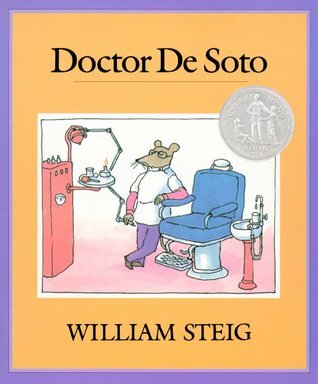 You can tell by the front cover that Doctor De Soto is a mouse dentist. He treats all sorts of small animals until one day a fox shows up with a horribly aching tooth and Doctor De Soto and his wife have to decide if they will help him. A clever story of wits and courage. This is our third book we've finished in the Swallows and Amazon series. 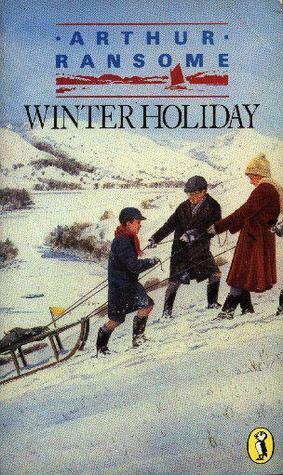 We picked it to read through the winter and enjoyed it just as much as the first two books. I cannot say enough wonderful things about this series of books. We have not decided which book in the series we will read next, but we are looking forward to further adventures. I read this first for myself and now I am reading it aloud to Seth as part of our Morning Time. It follows the life of a Dutch family during the German occupation of World War Two, especially the two young brothers who find themselves performing dangerous and bold tasks to help their country and their family. This is the second Hilda van Stockum novel I have read since I read The Borrowed House last year, but Seth did not. Perhaps he will be ready for that more mature title next school year. But this one is perfect for him and he is enjoying each chapter and is very disappointed when each one is over. 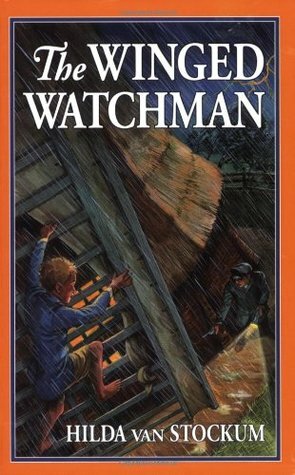 It gives him a different perspective about what life was like was other children at different times in history without exposing him to the utter horrors of war time just yet. 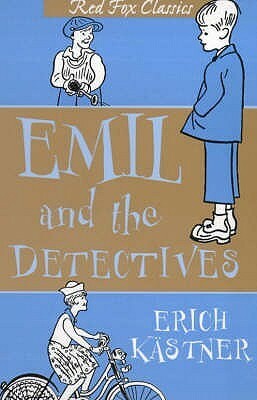 A quick-paced story about a German boy, Emil who is sent by train to visit with his relatives. The adventures that follow are wonderful and fun. I read it first and then passed it on to Seth to read on his own. It is not a war time story, it just is about boys being boys. Excellent story. It took me a little over a year, but I finally made it through all of Jane Austen's novels for my very first time. 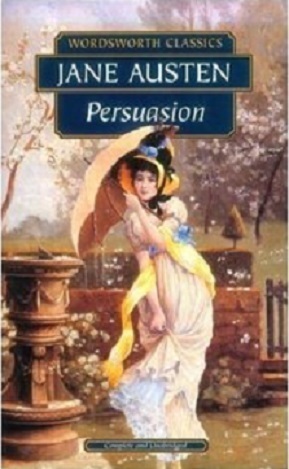 And Persuasion was the last one to read. It was a story of young love put off and finally regained as a mature love. 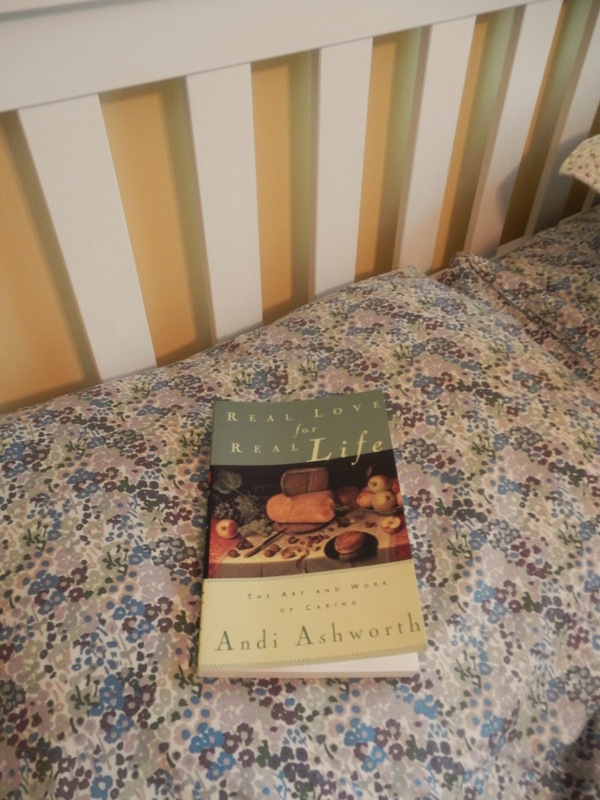 Anne Elliot appears to be a bit of a martyr, but not a despised, cliche one, but a resolved and disciplined one. While I was sad to have finished all the novels, I know that they all deserve a good rereading ever few years or so, which is something to look forward to, like the visiting of old friends. In preparation for my parents' 50th wedding anniversary, I put together some 'living' flower arrangements that my mom could replant outside or wherever she wanted after the party. The plants are in their own plastic storage bags(idea found here)that make it easy to water and keep moist without dripping out of the pot. I then covered up the plastic bags with moss kept moist with a spray bottle, twice a day. My color scheme was loosely based on this French blue tablecloth that I gave to my parents and was used for the party. 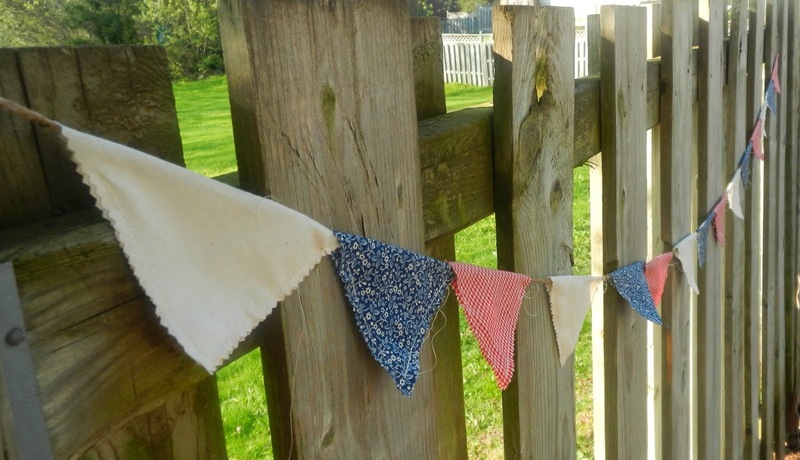 Bunting is quite popular and makes a festive and simple addition to any area. I chose a red, white and blue theme from some fabrics I have inherited from my mom. Despite some harried moments with the sewing machine and the fabric, I think it came together mostly like I envisioned. I did follow suggestions for fusible interfacing in between the fabric from this post. But instead of sewing along the top, I inserted the jute first and then sewed the triangles closed over them, leaving extra space to slide the triangles along the jute for spacing. I also did not cut the jute until we hung it up at my parents house to make sure there was enough swag. In some of the photos of the bunting, you can see that I hadn't trimmed my sewing thread when I took the photos. I did tidy it up before it was used. I also added some washi tape flags to my potted plants for extra flair. By the time I was done, there was a trio of flags of staggered heights using ribbon and tape in a couple of the plant arrangements. All of the plant pots came from Ikea, some from this season and some from last year's season. They do not have drainage holes but look very pretty. I wanted a drink and dessert table, so we cleared some of the furniture away and set up a cherry desk in front of the bay window. I had hand-sewed three tea towels I found marked way down at Ikea and made a table runner for the desk. Here it is hanging dry after I hand-washed it the day after the party. You will see it in some of the other upcoming photos from the actual party. Before decorating the table with our flower arrangements, food and drink, it did look strikingly like a communion table ready for the bread and wine, but thankfully not for long. In the end, it lent a rustic look to the table that seemed to fit well with our jute bunting which was hanging just above it in the window. I ordered the cake from my parents' local grocery store bakery since they have enjoyed their cakes before. I asked for a tiered cake and upon my parents' request, it was marble cake with white creamy icing. It was delicious. The bakery decorated it with dots and scrolls and added some cake glitter to make the icing look just perfect. I supplied the cake topper in the form of cake bunting with two strands. The top fabric bunting matches the larger bunting I sewed. And the lower strand is ivory cardstock triangles with the year of my parents' wedding, 1964, printed in blue. I used white embroidery floss on the fabric strand and red and white butcher twine for the cardstock one. I used this page to pick a diamond template for my bunting triangle which I printed out, traced onto my fabric and paper. I lined them up on the string and then carefully hot glued them into triangles in the place I wanted them. Cardstock can be difficult to fold with a nice neat crease, so I used a sharp knife to make an indentation where I wanted the fold to be and it seemed to work out well when I made the actual fold. I left extra thread to give myself plenty to work with when assembling the bunting over the cake. I trimmed off a little, but left some to just hang as you can see in the photos. Most of our family and friends had never seen cake bunting before, so it was new to them even if it is all the rage right now. If I could do it over, I would have taken time to put fresh flowers and leaves on the top of the cake, but I was beginning to run out of creative juice by this time, so I just added my bunting flags in secret and brought the cake up from the basement refrigerator when it was time to cut it. It was well received and I was so pleased that I had managed to pull it off without ever having made one before. I will show the photos of my parents cutting the cake in the next post. My goal for the party was to make things that could be used again for regular use or a special memento to save from the occasion. Since we did not print invitations for the anniversary party, the cake bunting, the fabric bunting and my sister's beautiful mason jars seen below can be kept by my parents to remember the special day. The flower jars were gorgeous and we used them as centerpieces on the main table. I had no idea she was making them, so it was a lovely surprise to have all these gorgeous flower arrangements with jars decorated to remember the day. The K on the jar is for my parents' last name in case you were wondering. The lettering on the jars looks so perfect. Next up, more photos from the party, including my parents, the guests of honor, in their own home.